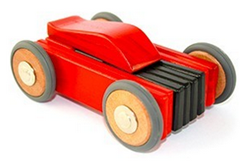 Tegu sent me their Dart car to check out. I gave it to my grandson who is 3 and he absolutely loves it! 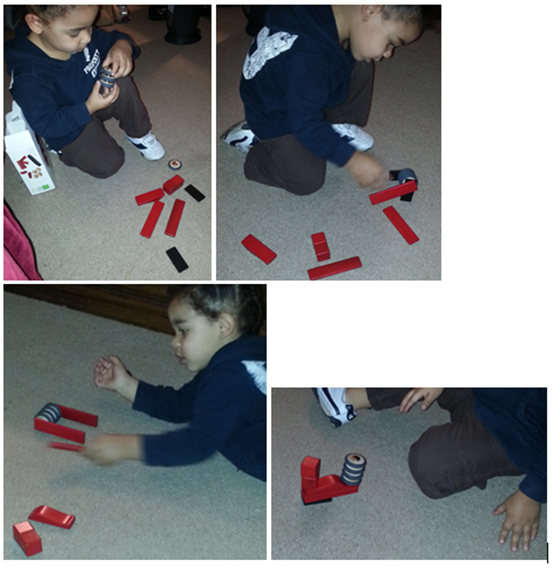 My daughter and I were talking about it and it’s even more interactive than Legos – he can build all sorts of things with it and it took him no time to figure out how the magnets work together and when they won’t connect he needs to turn it over and then it will connect. Every piece has a magnet in it so every one will connect to the other! It’s a high quality toy, the edges are rounded so he can’t really fall and hurt himself with it. He can assemble the car as shown above or any other thing he can imagine. He was very proud of this creation! We keep the toy here at my house and when he comes over he has many toys here, but, he goes straight for this one! 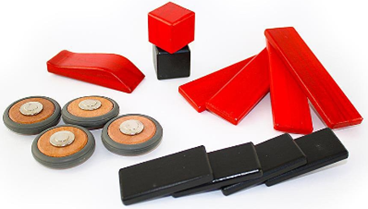 With 10 classic Tegu Blocks, a signature magnetic styling top, and 4 magnetic wooden wheels, Dart integrates seamlessly with the existing line of Tegu Blocks. Size: Package dimensions are 6 x 4 x 4 inches. Weight is 0.5 lbs. Individual block sizes: Cube is 1.18 x 1.18 x 1.18 in. Short plank is 2.36 x 1.18 x .3 in. Long plank is 4.72 x 1.18 x .3 in. Wheels have a 1.5 in diameter. 100% Satisfaction Guaranteed: If you are not satisfied for any reason, simply email us at [email protected] or call 877-TEGU-TOY (877-834-8869) and we will gladly issue a refund once we receive your return. Quality: Tegu Blocks are heirloom toys meant to be passed from generation to generation. They’re a modern twist on a beloved classic. You can check out their full line here.